This anthology was fantastic. There is a little of everything in this book. Zombies, dark fantasy, demons, and more. 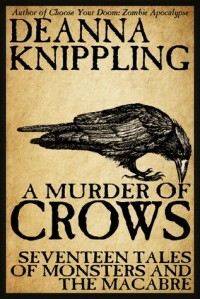 The wrap-around story is about a murder of crows who tell stories. I never read a book by this author before. I was very impressed.